"Feel=Eman" "Give=Jakat" "Keep=Namaz" "Love=Mohammad(s)" "Read=Quran" "Talk=Hadis" "Work=Dawat" "Go to=Jannat"
"Ful"k"Valobaso pabe sudu gran. "Islam"k"Valobaso pabe somman. "Rasul"k"Valobaso hobe adorsoban. "Allah"k"Valobaso pabe 2jahan. "GP:-Kache thakun roza rakun... "Banglalink:-Amara roza rekeci Aponi roza rekechen to? "AIRTEL:-rozar tane pashe ane.. "Robi:-jole uthun rozar rohmote..
"Lojja hin nari lobon hin torkarir moto. "IMAM GAZZALI(R). "Lojja hin nari shaper moto,dorte khub norom kintu Chobol marattok. "HAZRAT ALI"
"Opomane"jodi kade na tor mon, muslim noy "munafik"2i"rasuler_(sm) dushmon. 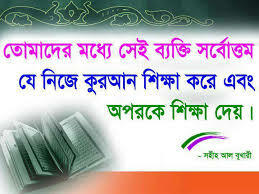 "Quran K Soron Koro" Islam K Boron Koro" Mohammad(sm)K Valobaso"5 Wakto Namaz Poro"Jibon ta K Sundor Koro"Valo Lagle SMS Ta Shobaik Koro. * 10Ti jiniser 10ti gun: 1.towbay-gunah nosto hoy 2.Dhukay-rijik nostohoy 3.Gibot-amol nosto kore 4.Bodcintay-hayat nostokore 5.Chodkay-bala muchibot dur kore 6.Gussay-akol nosto hoy 7.Imaner komjurite-dan koyrat bondho hoy 8.Takabburi-Elem nosto kore 9.Neki-bodi nosto kore 10.Insaf-Julum nosto kore. *Namaz poro muslim bon o vai, Namaz chara duniyate shanti nai. *Namazer kotha rekho soron, Namaz die sajao jibon. *Namaz chare koro na vul, *Namaz holo ebadoter mul. 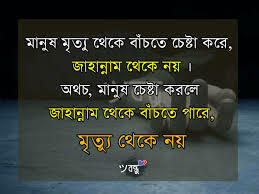 >>Sob muslim vai bonder proti amar onurud sobai kintu 5 waktho namaz somoy moto porben. A=Allah B=Bismillah C=Calima D=Dowa E=Eman F=Foroz G=Gihad H=Hajj I=islam J=Jannat K=Kiamot L=La ilaha illalaho M= Mohammad(sm). .It is the Most Important day of islam.This day is"Hajj"for the Poor Person.We should Perfectly use this day..
1, 2, 3 Namaj poro protidin,,, 4, 5, 6 Namaj porte kiser voy?? 7, 8, 9 Namaj pora kharap noy,,, 10, 11, 12 5 Wakto namaj poro...!! 1Din Sada Kafon Pore,Jete Hobe Ondhokar Kobore.2mr Sob Kicu Pore Robe Duniyate.1tu Vabo Moron Kale 2mr Sathe Ki Jabe?Plz Allah k voy koro?. 1Jon " LozzA oR POA DA" Shil nari tar babar jonno gorbo. Vayer jonno Somman jonok. Shamir jonno Sompod. Cheler jonno 1jon adorsho Maa. 1Jon nari jodi beporday cole,tobe 4jon purush dojoke jabe.1-Baba 2-Boro vai 3-Shami 4-Boro cele(AL HADIS). 1Ta golpo 1bar porle R valo lagena,1ta uponnas 1bar porle R valo lagena,kintu vebe dekhcho "Quran"joto bar porbe toto bar valo lage. 1Ti Mosar Voe Jodi Apni Mosarir Vitore Dhukte Paren,, Tahole Dojoker Aguner Voe MashZide Jete Parben Na ?. . .
2M@r ache osim alem visso chalao eccha mo2, akas vatas prani jogot 2m@r sevai ovonoto,. 2m@r ache oses doa sovar jonno love, 2m@r doar poros dia purno koro am@r asa. 2Mar Amar Thikana Matir Gorer Bichana. Songgio Kew Thakbena. Vule Jaogo Sob Kichu, Moron Nebe 2mar Pichu. Sobai 2mar Hobe Por, Apon Hobe Matir Gor. 2Mar Jibon Jodi Sundor Korte Chaw.1:Namaz Poro,2:Quran Poro,3:Hadis Poro,4:Islamer Dawat Daw,5:Mittha Kotha Bolona.Hoito 2mar Jibon Sundor Hote Pare..! 2Mar amar thikana matir gorer bichana, songgio kew thakbena. vule jaogo sob kichu, moron nebe 2mar pichu. sobai 2mar hobe por, apon hobe matir gor. 2Mar pothe colbo khoda,Nei to moder voi,2mar pothe sara jibon,korbo jibon khoy.2mar akas 2mar batas,2mar dewa poth,Sei pothe colbo khoda,Daw moder himmot.Alla 2mi sresto-mohan,Doyalu meherban,Tai to ajoi 2mar pothe hoiyeci kurban..!